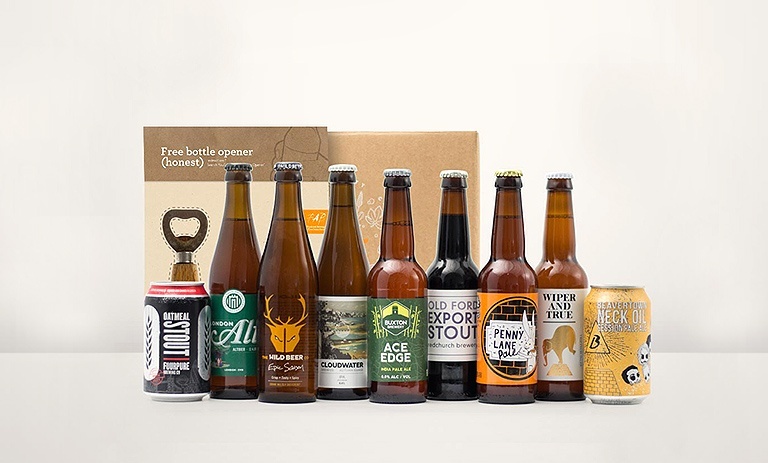 Honest Brew is a craft beer retailer and subscription service based in the UK that’s turning all their customers into beer experts and using TradeGecko daily. Automation allowed their business to scale and grow. Integration with WooCommerce allowed for quick implementation of the system. Crossfire EDI integration allows them to communicate orders easily with their 3PL. Founders of Honest Brew Frank and Andrew first bonded over their love of beer one late night at a bar. What started as a shared passion quickly turned into a business idea in 2014. Now they sell over 120 craft beers and operate a subscription based service that delivers hand-selected beers to customers’ doorsteps, allowing people to experiment with the types and brands of beer they drink. There’s a really good experience that you get when you go to a craft beer bar or a bottle shop, where you rely on them to give you some guidance on discovering new beers. We thought, we can do the same online and deliver to people’s homes, so that customers still get that good experience. As a new small business, Honest Brew used spreadsheets to track inventory and customer subscriptions, but as they grew, it became clear that they would need a better system to manage their inventory - which is when TradeGecko came into the picture..
With multiple suppliers based all around the world, customers across the UK, and thousands of SKUs, Honest Brew uses TradeGecko to keep operations running smoothly. They use integrations with Xero, WooCommerce and Crossfire EDI. This last integration means smooth communication between Honest Brew and the third-party warehouse they use. Subscriptions are growing, business is booming, and Honest Brew remains committed to making beer geeks out of all their customers - one bottle of craft beer at a time. Read more details about their success story in the full case study.